At Garibaldi Glacier, the Purser of the National Geographic Explorer waited for the Zodiac cruises with hot chocolate. We are home from Patagonia with our hundreds of photos and fantastic memories of a remarkable trip. 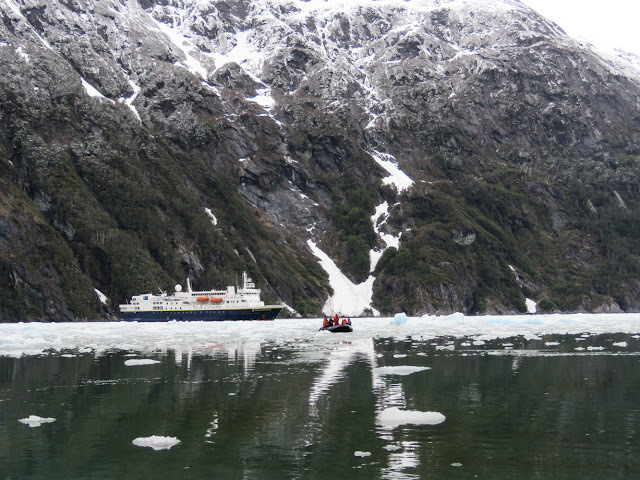 Our ship spent one day moving through the fjords and glaciers of Tierra del Fuego and the Beagle Channel. 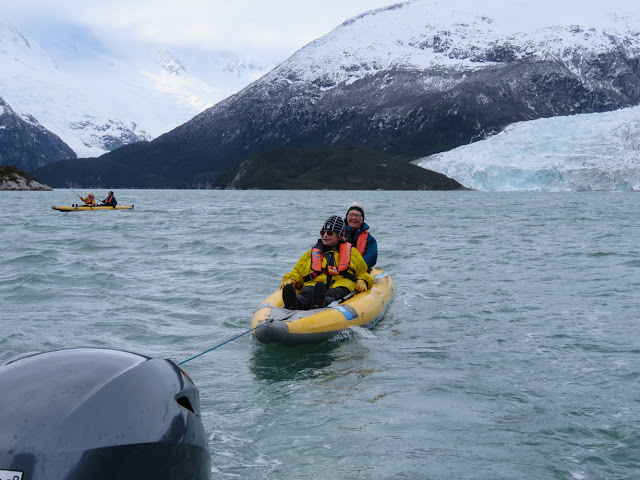 Both morning and afternoon, we boarded inflatable boats -- Zodiacs -- and explored the icy waters and very blue faces of two glaciers. 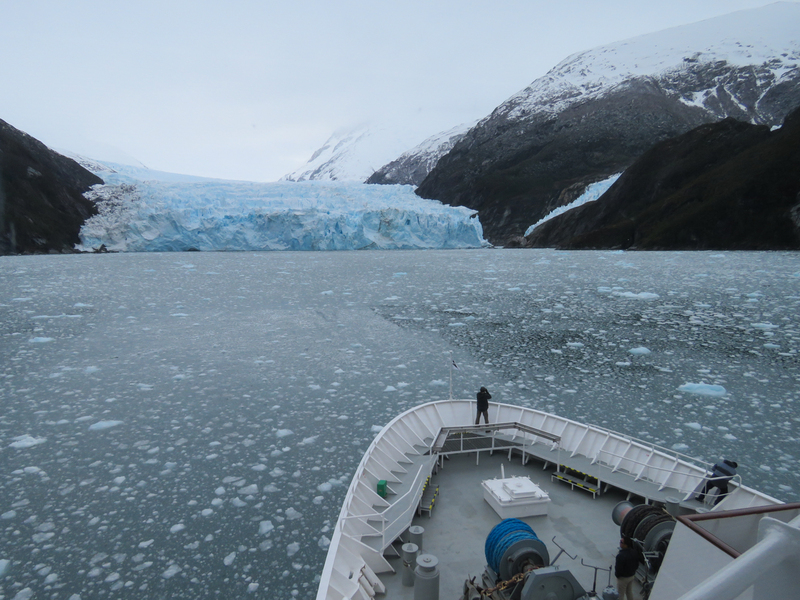 Garibaldi Glacier from the ship's bow. The walls of the glacier are steep, with interesting trees and small streams falling down the cliff faces. on the shore just beyond the ship. 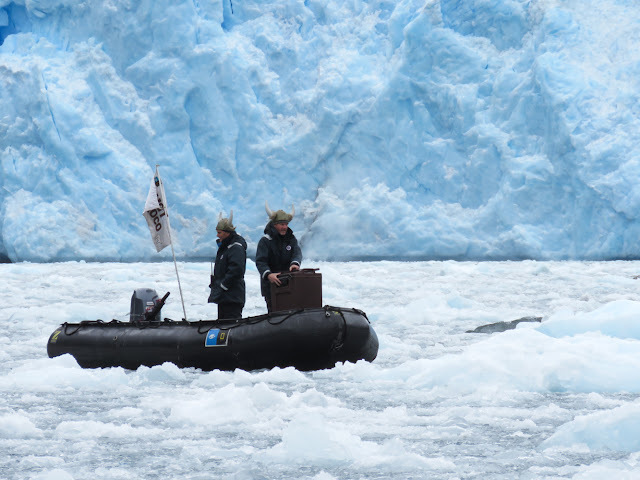 The Romanche Glacier from the Zodiac. 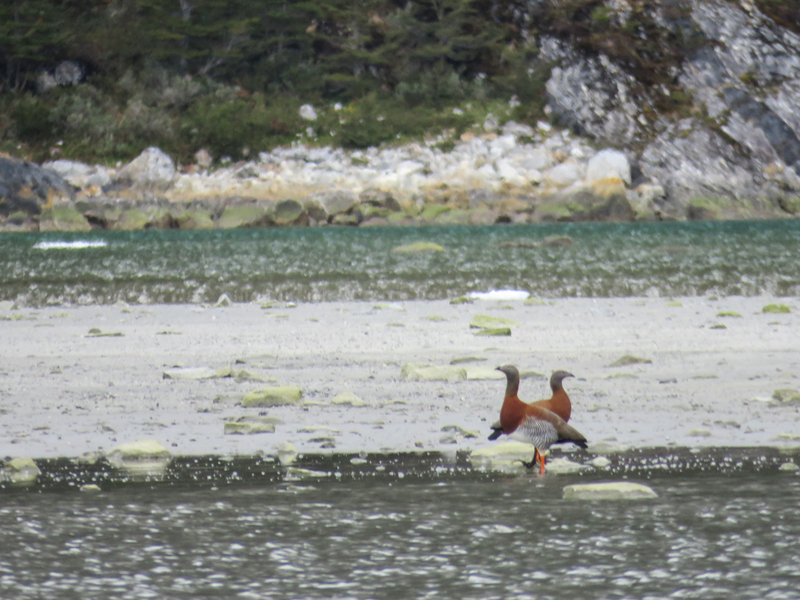 Ashy-headed geese along the shore quite near the glacier. While we were looking at the glacier and searching for birds, many of our fellow-passengers kayaked in the cold waters. almost made it to the ship but then were blown right back downwind. I was looking forward to your posts, stunning photos. Did you kayak? That would be an experience of a lifetime. The trip, not the kayaking! Oh My! You went somewhere cold before it got cold here! Intrepid! I remember chatting with our wine specialist in a store that sadly closed a few years ago and asked him his favorite place to go hunting for wine and he said immediately Patagonia. I only thought of them as clothing manufacturers for lots of ice and snow before that. Your photos, as always, are dazzling. Looks like you had an amazing trip. 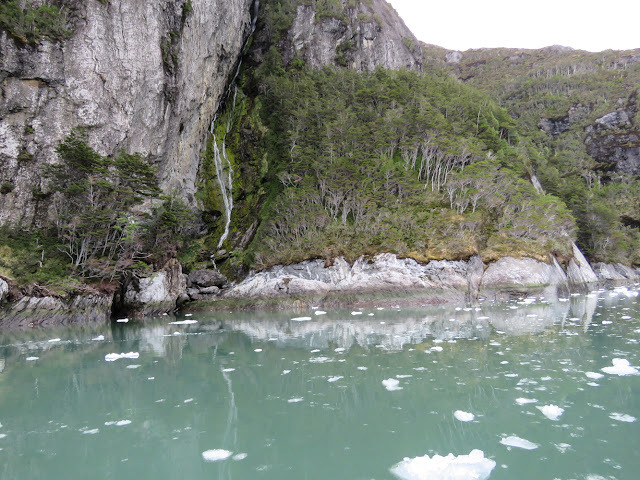 I had no idea that trees and plants could grow on a glacier. 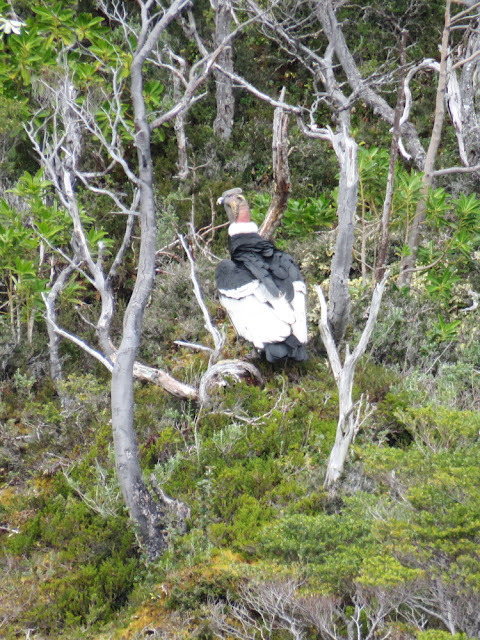 What a fabulous trip- thanks for sharing your photos with us, they are spectacular. 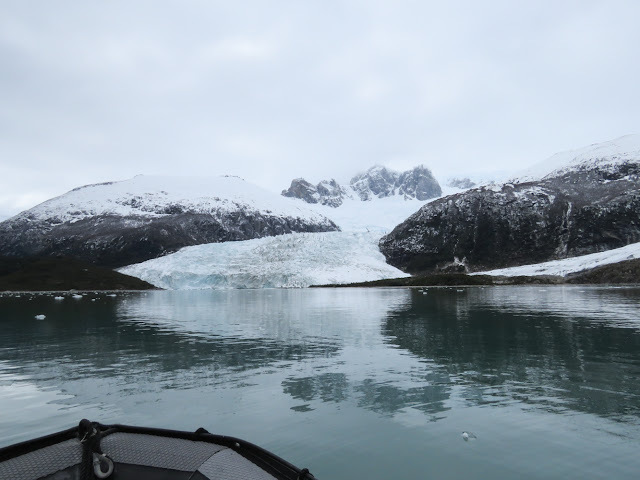 Thanks once again, Mae, for sharing your beautiful photos and a bit of the trip with us armchair travelers! Birds in Patagonia: We hope more to come! Will we grill again this season?